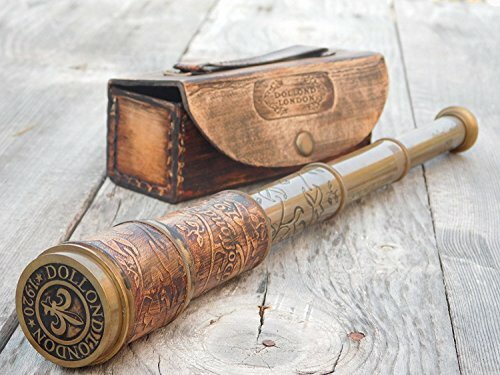 A gorgeous 16" Leather Sheathed Spyglass in antiquated brass finish. It would surely make a great gift for a maritime, nautical and outdoor enthusiast. Material : Brass Finish : Antiquated Brass Telescope is 16" extended while 6" collapsed. It zooms upto 10x Handmade replica, not sold as antique. Made in India by Thor Instruments Co. skilled craftsmen. Handmade replica, not sold as antique.